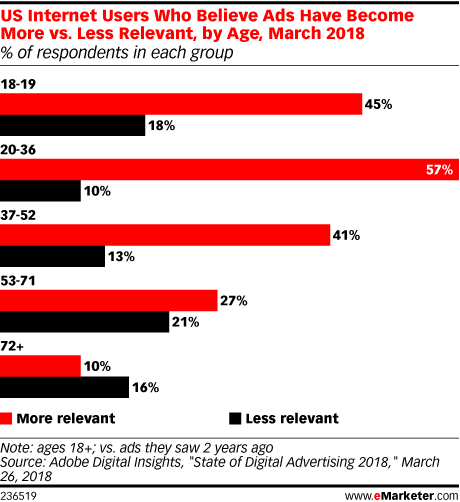 Data is from the March 2018 Adobe Digital Insights report titled "State of Digital Advertising 2018." Data is based on over 183 billion visits to US websites. Digital video data is based on 12 billion plays of TV Everywhere and 9 billion ad impressions. In addition, 1,000 US consumers ages 18+ and 250 US digital marketers were surveyed about their views on digital advertising during February-March 2018.